Henry Davison Riley was born on 22nd February 1881 in Preston, the son of William John and Annie Eliza Riley. 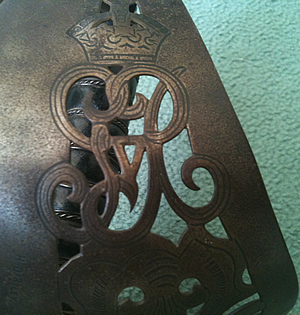 Riley was educated at Shrewsbury School (1895-8) before joining the family firm of W. & A. Riley, fancy cloth manufacturers, of Houlker Street Mill, Colne. Left: Henry Davison Riley. Photograph courtesy of Nelly and Jacquie Ainslie. Throughout his adult life, Riley devoted the bulk of his leisure time to providing working class youths with opportunities to develop themselves through sport and education. In 1901 - prompted by the success of the Ancoats' Lads' Club in Manchester - Riley founded the Burnley Lads' Club, immediately taking on the post of Honorary Secretary. The Club's first premises amounted to three rooms over a stable in Chaffer Court, Adlington Street. 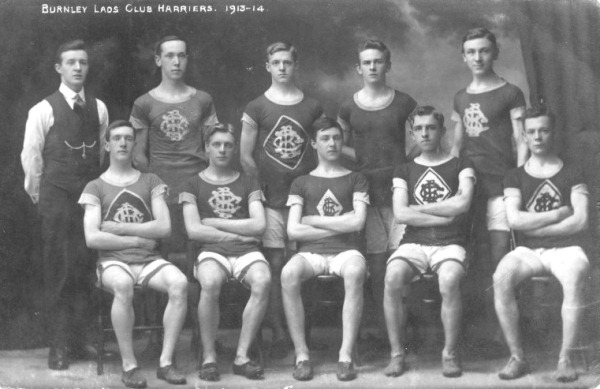 Above: Burnley Lads' Club Harriers, 1913-4. Photograph courtesy of Eric Hebdon. 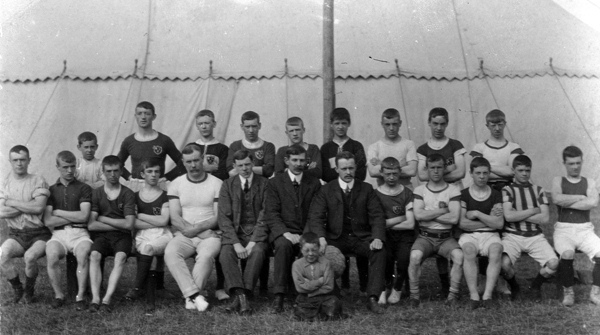 Above: Burnley Lads' Club at camp pre-WW1; Henry Davison Riley is seated at the centre of the front row. Photograph courtesy of Mike Townend and Towneley Hall Art Gallery & Museum. 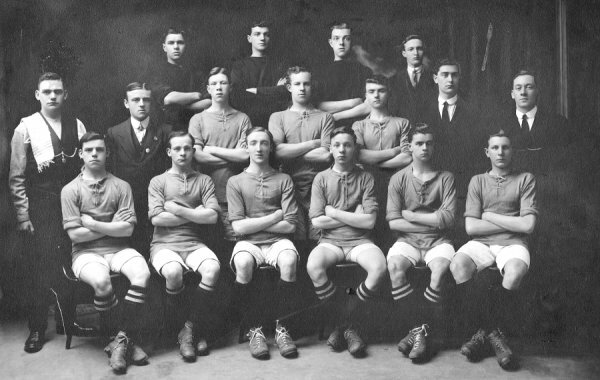 By 1907, the Lads' Club had also taken over the old Foresters' Club in Lindsay Street and had a regular membership of 200; for an entrance fee of 2d (1p) and a membership fee of 1d (½p) per week, the Club provided a reading room, a large gymnasium, games rooms, five football teams, a cross-country team, a swimming club, a cricket club, a cycling club and an annual seaside camp. Increasingly pressed for space, the Club acquired the old Keighley Green Police Station later in the year. The 1907 Report of the Burnley Lads' Club gives an interesting insight into its development. From 1911, evening classes were offered in subjects such as English, mathematics and drawing. In addition to his work with the Burnley Lads' Club, Riley took an active interest in the Industrial School movement, and was a member of the Preston and Mid-Lancashire Discharged Prisoners' Aid Society. In August 1912, he was appointed a County Magistrate. His business interests extended beyond the family concern in Colne to include a directorship with R. J. Elliott & Co. Ltd., cigar manufacturers, of Huddersfield and Leicester, and membership of the Manchester Exchange. On the evening of Thursday, 17th September 1914, Riley was one of 12 men from prominent local families who were recommended for commissions in the Accrington Pals battalion (later, the 11th Bn., East Lancs. Regt.). The high regard in which Riley was held by members of the Burnley Lads' Club was shown by the fact that 70 of the lads followed him into the Pals. Shortly after Lt.-Col. Rickman took over command of the battalion in March 1915, Riley was promoted from Lieutenant to Captain. For the attack on Serre on the opening day of the Somme offensive, Riley led the fourth - and final - wave of the battalion, comprising two platoons each of Y and Z Companies. At 7.29am, the four platoons of the fourth wave advanced from Monk Trench, crossing the British front line about 7.35am. 15650 Pte. Stanley Holgate and 2/Lt. Arthur Lett both spoke some days later of seeing Riley killed by machine gun fire in the advance towards the German trenches. A telegram from the War Office Secretary was delivered to the Riley family home at Brierfield on the afternoon of Thursday, 6th July. It read simply: "Regret to inform you that Captain HD Riley East Lancashire Regt was killed in action 1st July. The Army Council express their sympathy." As I was coming away I heard, and it proved only too true, that Capt. Riley had been knocked out. No one only those who had worked with him knew what that meant. For while we had some of the best of officers, he was the moving spirit, and wherever we were or going to do, it was Riley at every verse end. Over a matter of weeks in the spring of 1917, the townspeople of Burnley provided a fitting memorial to Captain Riley by raising £3,000 to provide the Lads' Club with a permanent home. 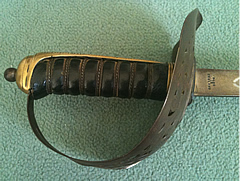 Officer's sword belonging to Henry Davison Riley. 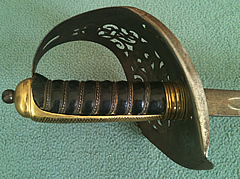 Photographs courtesy of John Langley. 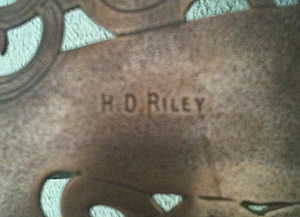 Captain Riley has no known grave and is commemorated on the Thiepval Memorial. By July 1916 some 600 members of the Burnley Lads' Club were serving in the Army; at least 123 lost their lives in the First World War, and are commemorated on the Club's Roll of Honour, which can be seen at Towneley Hall, Burnley. © Andrew C Jackson 1998, 1999, 2005, 2011. Compiled from TNA documents WO339/14340 and WO95/2366, the Accrington Observer & Times of 8th July 1916, the Burnley Express & Advertiser of 8th July 1916 and 19th August 1916, the Burnley Gazette of 30th March 1901, 27th February 1907 and 31st August 1912, the Quarterly Army List for June 1916, the 1901 Census for England and Wales, quoted sources, and with the kind help of Mike Townend and Eric Hebdon.